Do you like gaming? How about watching movies? If you answered yes to any of these questions then this deal is for you. 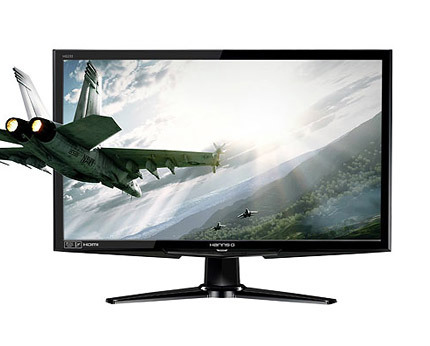 Buy the Hanns-G HS233H3B budget 3D monitor and add some spice to all your daily tasks without blowing your entire budget, because the myth of a cheap 3D monitor is not a myth anymore. 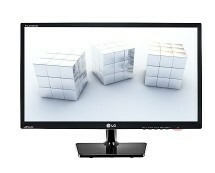 Ebuyer.com rolls out one of the hottest 3D monitor deals out there – 23” Full HD 3D monitor for only £139.98. What’s more impressive than a top-class 3D monitor? The answer is simple: a budget 3D monitor that does the job just as well. Is this the case of the Hanns-G HS233H3B? Let’s take a closer look and find out. We’ll start by saying that this monitor gives you a feeling of high performance and speed right from the first second you see it thanks to its daring design with steep angles that resembles the design of an exotic sports car. 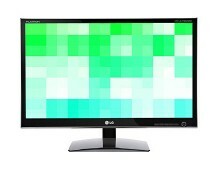 The similarities are not coincidental, though, because this monitor really is as fast as a sports car. Leaving the 3D part aside for the moment, the monitor’s 120 Hz refresh rate provides perfectly cursive images even in the fastest moving scenes, being able to satisfy everybody, including the most pretentious users. Colours look very realistic and natural thanks to the fully backlit display with no image bleeding whatsoever, as opposed to even the most advanced edge-lit displays that still struggle with this problem. Hanns-G’s proprietary X-Contrast also has a significant contribution to image quality, providing a contrast of 80,000:1 that results in vivid images. On the 3D side, the 120 Hz refresh rate, the Full HD 1080p resolution and the 3ms response time make one of the best combinations ever, delivering an impressive 3D experience. The only downsides of the 3D experience is getting the right settings, which can prove to be quite a challenge, requiring you to install, reinstall and tweak the drivers of the NVIDIA’s 3D Vision kit. The kit is not included so you’ll need to buy it separately in order to enjoy the magic of 3D. The connectivity side contains all the common connectors you could need: 1 VGA connector, 1 DVI connector and of course a HDMI connector. An audio connector is missing because, well, the Hanns-G HS233H3B has no audio. The monitor doesn’t come with integrated speaker, a feature that most people don’t use anyway, but it’s good to have around just in case. Again, given the low price of this monitor, it’s good enough that it provides great image quality; the lack of additional features can be overlooked. In conclusion, the Hanns-G HS233H3B monitor is a good pick for people that want pure performance without having to pay for the brand name. After all, Hanns-G might not be a very renowned manufacturer but its products can easily compete with the ones coming from the biggest names in the field and this pretty much speaks for itself.